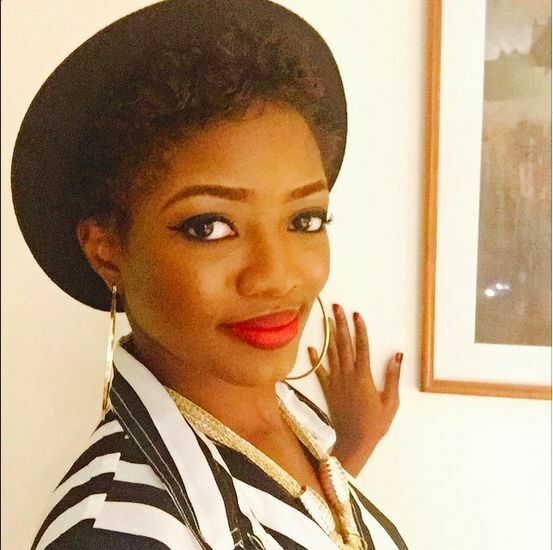 Hey BN Style Lovers – It’s time for another edition of BN Pick Your Fave! 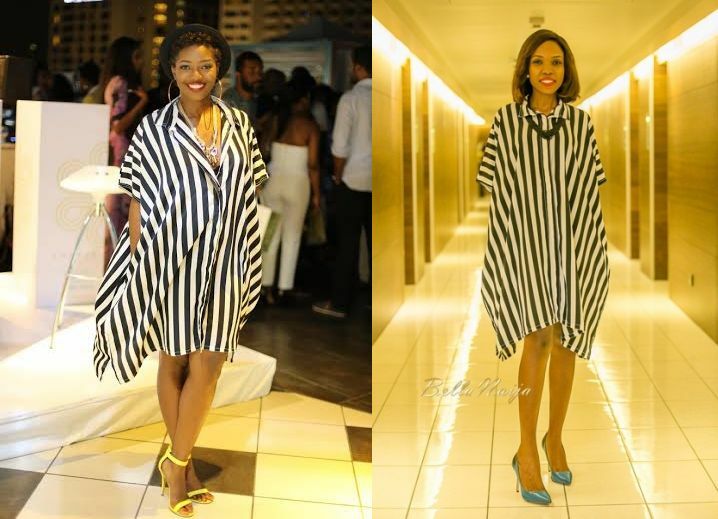 Today we have 2 stylish contenders – Singer/Songwriter Toye and Actress/Producer Kemi Lala Akindoju in a striped monochrome shift dress by fashion brand, Zebra Living. 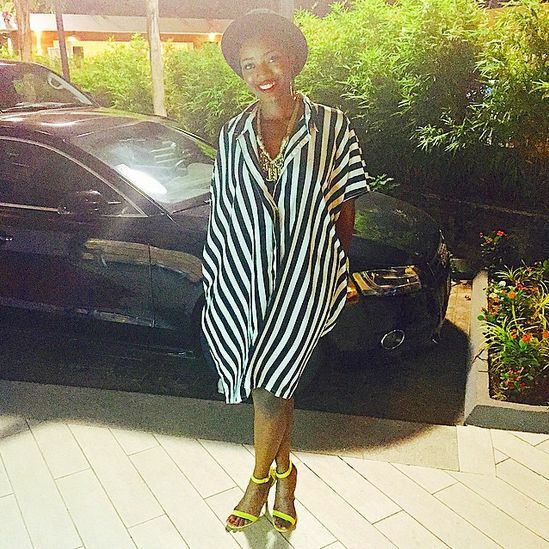 Tonye always goes for the laid back but chic look, and this outfit is definitely giving us those vibes. 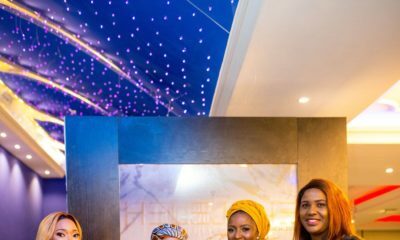 She rocked her dress on Sunday 5th March at the launch of skincare brand Emmaus at the Maison Fahrenheit in Victoria Island, Lagos, where she also performed. Her look was completed with neon yellow strappy heels, a gold knot accent chain necklace, loop earrings and a black fedora. Very rocker-chic! She finished off her look with her signature curly pixie, simple eyes lined in black and a bold red lip. 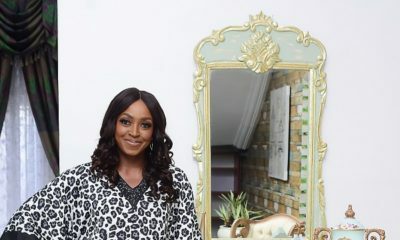 Paired with sea green shoes, stud earrings, a bob hairstyle and a black layered bead necklace, Kemi went for a classy look that was perfect for the evening. For her makeup she went with a simple look with bold red lips and minimal makeup. Tell us BellaNaijarians, which look is your fave? These CLOT x Adidas Originals Sneakers Look Familiar! Would You Rock? Lala all the way. She looks more classy. Would’ve looked better on Kemi if not for those pair of shoes. Tonye always does it better. Abeg na Tonye! Lovely Jewelry and footwear to go with it. Then that hat! Cute little thing. I think it looks better on Tonye – like someone said, i think the other girl is a bit too skinny for it. Plus the open neck with the chain really makes it pop. and, the yellow shoes. The other chick looks alright but Tonye pops! 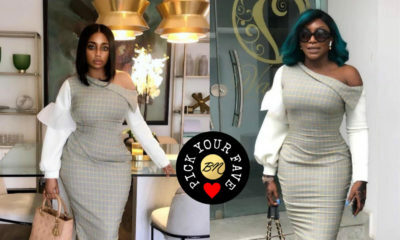 I love the way tonye dresses but sincerely why is she always on the ‘who wore it better ‘ list? This is thee third time am seeing her on a list or battle like this in 2015. Neither. Looks like a nightgown…. Could this be Toyin? Ips pet Engrg dept Uph?